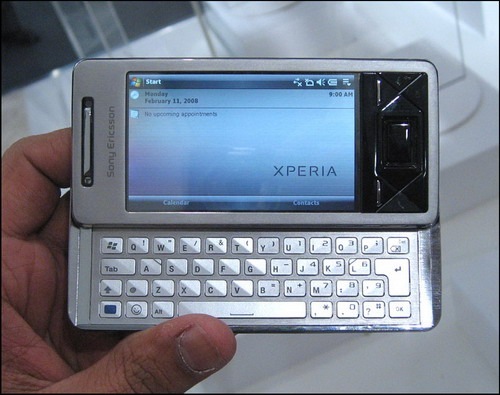 I have an Xperia smartphone and I am trying to update the software through Sony Ericsson PC Combination but is taking too long time! It stacked on the second step, where the software is getting data from the internet. Can anyone help? Since the procedure stopped on the step of getting data, I guess is firewall problem. Turn off your firewall and try again, probably your firewall is not allowing the program to get data from the internet. Have you disconnected your micro SD cart? As I remember you should do so before you start the update. If not cancel the update and start it all over again, also remember that your phone must be charged at least 50% in order to get the update done correctly. Xperia is a good handheld sets around. PC Companion will take much longer time for the first time as it will collect some data from internet. And it depends on your internet connection as well. Have patience while updating works. And Nadia, need not to disconnect SD Card to update or Sync. Thank you all for your answers, I really appreciate your help. I turned off my firewall and tried again, everything worked well after this. Update is done and no any information has been lost. I'm facing same problem with my xperia also. Turned down firewall, but no feedback yet. Removed SD Card also. Switched off and restarted xperia several times. Even restarted my PC. Nothing worked. Plz. help me. Here's some checklist to install and sync Xperia with PC. 1) Install PC Companion on your PC. 2) Check the USB connection, plug perfectly. 4) Do updating softwares, transferring files, contacts, mails etc. It's PC Companion not that you've stated. You may also use Microsoft Active Sync for many Xperia model to sync to a PC. guest, I cannot understand if your phone is running Android or Windows system.. The phone on the image has Windows' logo, have you tried to add windows on your Android phone? You have to shutdown the firewall, and everything will goes well. I turned off my firewall and tried again but do not work....what can i do? but it's stuck in the 3rd step and the phone is off ... and won;t work , any help? I am also having same problem like Sherry, am also having xperia Z, but at 3rd step everything is off. how much time it take to update sony xperia l to 4.2.2 jellybean?? when download is complete?? and updating start?? it just shows please wait but nothing happens, can anyone help??? i m olso having the same problem it is taking too much of time from downloading from internet at step 2, while i am using a wify network plz help..
i m instlling the new sofyware at my sony xperia L.. its been a long long time and the installation is still taking place... How to stop it. i cant do anything.. plz hlp i want to use my phone.. help me stop the installation..